GROW is one of the most popular and straightforward coaching frameworks . 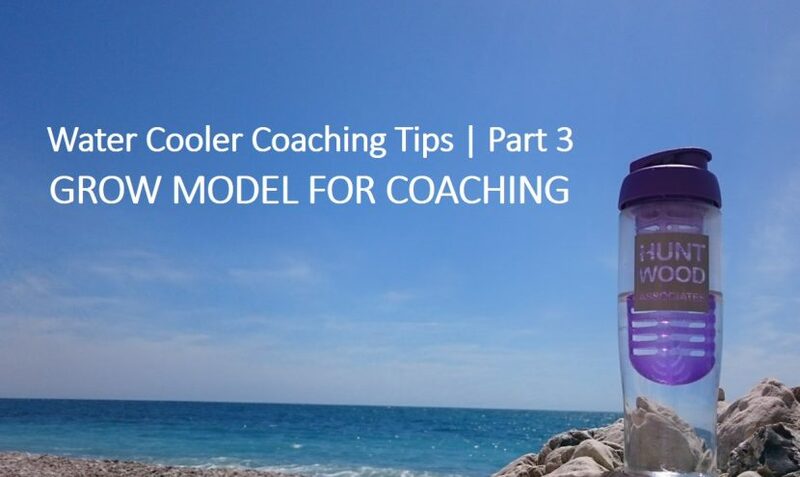 It is part of the tool bag of models that Huntwood, and most other coaching businesses, use for 1×1’s and a great concept as core content in a Coaching Skills for Managers course. In that context GROW is easy to demonstrate, and a memorable framework to use with your team. Sir John Whitmore was a pioneer of coaching in the workplace in the early 1980’s and creator of the GROW model. His core philosophy was that coaching is not a technique to be wheeled out under specific circumstances, but a way of managing people. The GROW framework provides a sequence of questions for the Manager to ask the team member in order to get under the skin of their challenges, facilitate clarity of purpose and create a plan for success. These questions help the team member to build awareness, by identifying exactly what the problmanagerem is, to understand what would be a great result, to think about the different ways they might find a resolution and who might assist. And finally to take responsibility for the robust action plan. 1.. What specifically do you want to achieve? 2. How will you measure it? Are there milestones? 3. In what way will it be of value? 1. What have you already tried? Can you be really specific about those actions? 2. How did this progress your goal? 3. Who else is involved? 5. What is really holding you back? 1. What could you do at this stage? 2. What has worked before in similar situations? 5. Can you set out the benefits /costs of the options? 1. Which options are you going to choose? 2. What is your level of commitment – score 1- 10? 3. If your score is less than 10, what prevents it being a 10? Will you do it? 4. What will stop you? 5. What/when is your next step? What are the benefits when the Manager coaches their team? For more details on how to use the GROW model and a more extensive GROW question set then please drop me a line.